John is a graduate of the University of Sydney and was appointed foundation Professor of Vascular Surgery, Royal Prince Alfred Hospital, University of Sydney in 1998-2014. He was Chairman, Division of Surgery at Royal Prince Alfred Hospital from 1995-2014. He has served as Head of the Discipline of Surgery and Associate Dean Surgical Science at the University of Sydney and initiated the Master of Surgery programme. In 1981 John was the Jobst Fellow in Vascular Surgery at Northwestern University, Chicago, USA and is a past President of the Australian and New Zealand Society for Vascular Surgery. He was Councilor representing Vascular Surgery and Senior Examiner in Vascular Surgery at the Royal Australasian College of Surgeons (RACS). John is the Editor-in-Chief of the ANZ Journal of Surgery. He received the Royal Australasian College of Surgeons ESR Hughes medal for distinguished contributions to surgery in 2012 and the Outstanding Service Award, NSW Regional Committee, Royal Australasian College of Surgeons 2013. He is a Distinguished Fellow of the Society for Vascular Surgery in North America and was elected to Honorary Fellowship of that society in 2013. He is also an Honorary Member, Society for Vascular Surgery for Great Britain and Ireland. 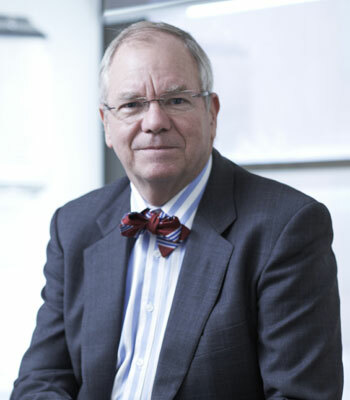 John was made a member of the Order of Australia in 2007 for advances in vascular surgery, vascular ultrasound, medical education and public health administration. He was made an Emeritus Professor in 2014. John has represented RACS on the GPRWMF Board since 2010.